Original custom music written by Justin sync'd to the newly upgraded Adelaide Oval Lighting system. 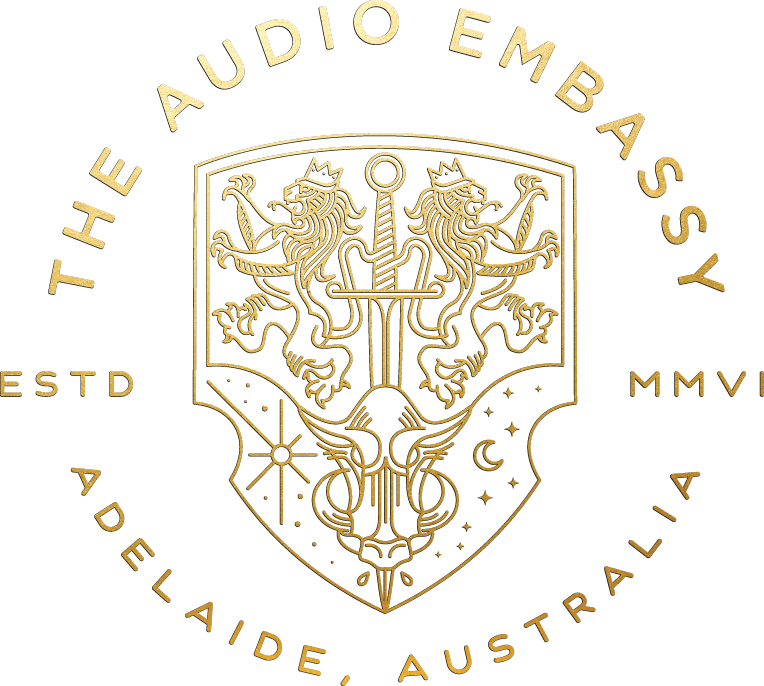 Founded by highly awarded Adelaide composer Justin Pounsett, The Audio Embassy is one of Australia’s leading sound and music houses, servicing a growing base of high-profile clients, such as Clemenger BBDO, Disney/Hasbro Entertainment (UK), Cummins and Partners, Clemenger Harvey Edge and Havas Worldwide. The Audio Embassy’s work complements advertising and communications material for some of the world’s best-loved brands, including Arnott’s, Mazda, Mitsubishi and Jacobs Creek. The studio’s love of music and sound has resulted in numerous industry accolades and Advertising & Design Club awards. A growing list of TV and Film credits including music for McLeods Daughters and music and sound for the AACTA nominated short film ‘The Moment’. With an extensive knowledge for almost all musical genres The Audio Embassy can produce a solution that exceeds the expectations set by any creative brief, because at The Audio Embassy, our passion is to create music and sound to express what words cannot. Located in the quiet back streets of Adelaide CBD only 3 minutes walk from Hutt Street. Hutt St is one of Adelaide’s most popular strips with everything from casual cafe meals to 5 star dining, a convenient post office and two new refurbished pubs. The Audio Embassy is also only 5 minutes away from most inner city production houses including the new Glenside SAFC Film Hub and many visual post production houses. Explore Justin’s Entire Catalogue of work.